With just over half a year to go until the divorce date, and roughly two months until European Chief Brexit Negotiator Michel Barnier’s self-imposed October deadline for a Brexit deal, it has started to feel like we are finally seeing some concrete progress when it comes to Brexit. In the past, I have written about a lot of hypothetical situations, always adding the caveat that we do not know what will happen in the final deal. Unfortunately, that caveat remains true today. Fortunately, there has been some concrete progress – and some concrete fears growing about post-Brexit healthcare and patient access. In July, the U.K. government published its white paper on Brexit, in which it outlined the government’s goals for the United Kingdom’s future relationship with the European Union, providing the first real look at the government’s negotiating position. The white paper discussed a number of topics of particular importance to the pharmaceutical industry, including EU agencies and customs arrangements. Notably, the white paper recognized the importance of the U.K. in the EU pharmaceutical supply chain and the need to keep supply chains operating efficiently, including by having the U.K. be an active participant in the EMA to minimize the need for duplication. The white paper also proposed that the Medicines and Healthcare products Regulatory Agency (MHRA) continue its current role, conducting technical work for assessment of medicines and participating in ongoing safety monitoring and other elements of pharmaceuticals regulation for the U.K. and EU combined market. The paper also goes on to propose that all authorizations, approvals, and certifications undertaken under EU law remain valid in both the U.K. and EU after Brexit and that the U.K. continue to be involved in all EU agencies, as well as in a tariff-free customs union. In terms of R&D, the U.K. would also like to remain involved in all of its current programs. Overall, the white paper calls for a very “soft” Brexit, and while the pharmaceutical industry was quite positive about the announcement, that was not the reaction Prime Minister Theresa May received from her own government. PM May faced considerable criticism for a “weak” Brexit, and chaos ensued, with many high-profile resignations in her own cabinet and many in her party and cabinet believing the approach was not a true British exit from the European Union. However, the negotiating position the paper revealed was a big boon for industry. Unfortunately, it only represents the United Kingdom’s negotiating position, which means little until it is accepted by the European Union’s members, which they are unlikely to do without serious concessions from the U.K. (although these will not necessarily be in the pharmaceutical or even healthcare space). Overall, while pharmaceutical manufacturers should be relieved to at least have insight into the U.K. government’s negotiating position, the end result is still far from clear. Although it is not clear what the ultimate Brexit deal will look like – still – there have been indications that the U.K. will likely be shut out of the EU’s pharmacovigilance network post-Brexit, particularly if the Brexit is not as “soft” as Theresa May wants. Under the EU’s system, all adverse reactions to medicines that occur in clinics and hospitals across the entirety of the EU are entered into a central database, alerting physicians across the whole union of potential dangers of treatments. It’s not just the U.K. that would suffer from being shut out of this system, as it is estimated that almost 40 percent of warnings about adverse side effects across the EU come from the U.K.’s own alert system. Excluding the U.K. from this system would put patients in the U.K. and EU at risk. Adding to the pharmacovigilance concerns are supply chain concerns. In a recent survey, the EMA found that the supply of more than 100 medicines that are solely manufactured in the U.K. would be at risk of disruption after Brexit, because the necessary licensing work has not been carried out. Millions of diabetes patients in the United Kingdom, including Theresa May herself, could face worrying shortages, according the chairman of the MHRA, as the U.K. imports all of the insulin used within the country. In recent weeks, companies including Sanofi, Astra-Zeneca, and Merck have all revealed that they have been stockpiling drugs in case of a hard Brexit and no ample transition period. The U.K. government has also indicated that it is working with manufacturers on plans to stockpile medicines, but that does not seem to be the case in other EU member states. 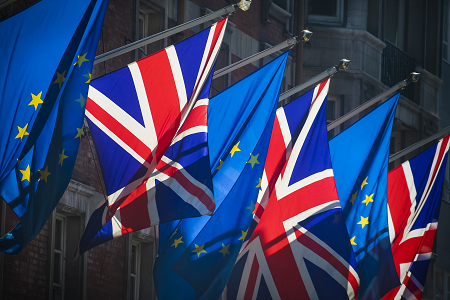 A recent Portland survey of U.K. Members of Parliament (MPs) and Members of European Parliament (MEPs) revealed that 51 percent of MPs and 35 percent of MEPs believe that trade barriers resulting from Brexit could impact the supply of medicines in the country. However, nearly half of all MPs and 56 percent of MEPs believe that patients should be given greater priority in the negotiations, although only 14 percent of MPs and 16 percent of MEPs believe the pharma sector should take priority in Brexit negotiations. This perhaps indicates that it would be wise for pharmaceutical manufacturers to engage with patient groups across the U.K. and EU, as well as make sure they are communicating their concerns in a patient-focused way. A few weeks ago, the U.K.’s International Trade Secretary Liam Fox put the chances of the U.K. not agreeing on a deal with the EU before the Brexit divorce date as “60-40.” This is certainly not the outcome pharma was hoping for in light of the positive news of July’s white paper. Governments and manufacturers have ramped up their preparation for a no-deal Brexit, but they continue to hold out hope for a last-hour reprieve. Given the effects that shortages and decreased pharmacovigilance will have on patients across the EU, not just the U.K., it’s clear that reaching a deal is advantageous for everyone – at least when it comes to healthcare. What manufacturers can do now is continue to remind stakeholders of this fact and hope they realize it before it is too late. Yulia Privolnev is a manager on the Global Market Access Insights team at Decision Resources Group (DRG). She is responsible for monitoring, analyzing, and reporting on global market access through the production of DRG’s Global Market Access Solution (GMAS) and Access & Reimbursement products. Privolnev’s specific focus is on all aspects of market access in Western and Eastern Europe, as well as international reference pricing (IRP) and managed entry agreements (MEAs) on a global scale. She holds a bachelor’s degree from the University of Toronto and a master’s degree from the London School of Economics.